One of John B Nesmith's MI cards is mixed in with records of Jeremiah Nesmith. 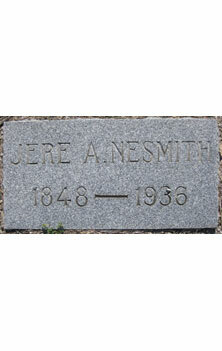 Jeremiah was the son of John B Nesmith. Jeremiah was born 4 Jan 1848 and died 11 Feb 1936. Picture submitted by Ray Gatewood.